Hi guys! Thank you so much for your love and support over the birth of Little Lady June. We are so happy and blessed to have had a safe delivery and a healthy baby. We're so in love! 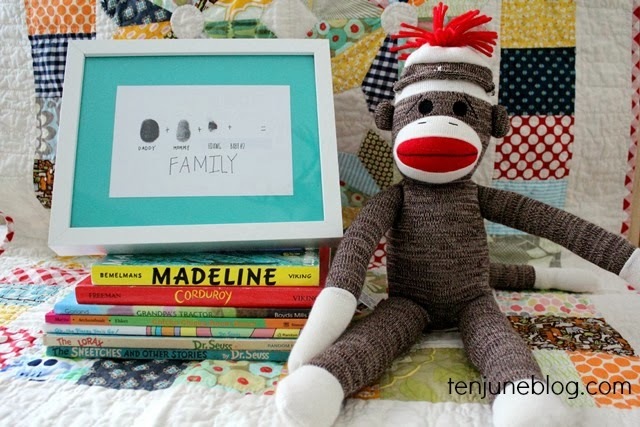 Today I want to share an easy little do-it-yourself art craft I created to celebrate our sweet girl's arrival. 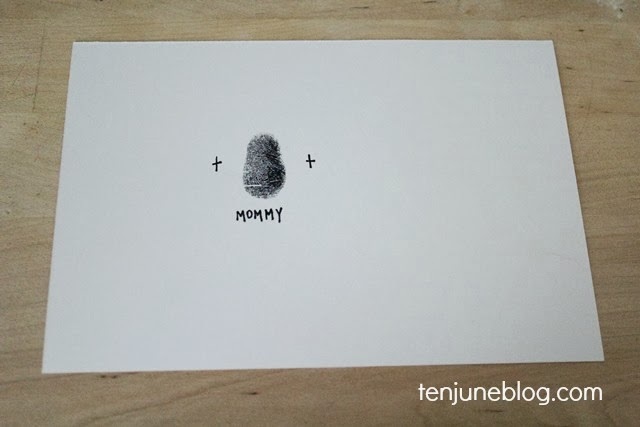 All you need for this craft is an ink stamp pad, scrapbook paper or fabric, white card stock, a picture frame, a pen or a marker and your family's thumbs! 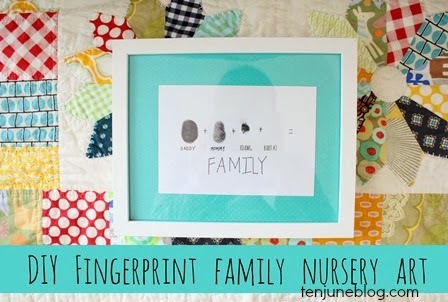 Choose scrapbook paper or fabric that has some fun color or pattern as it will serve as the backing for your thumbprint art. 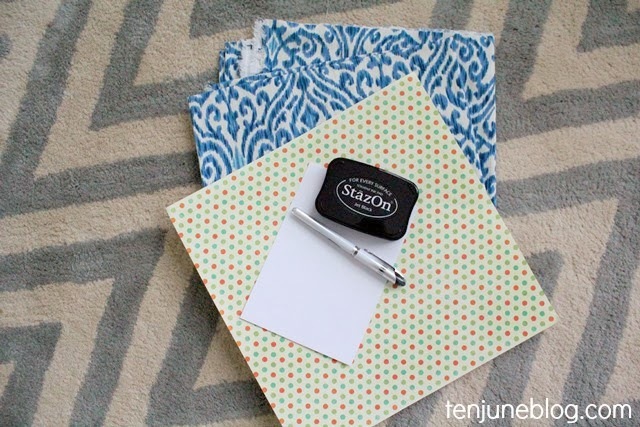 I love this raised polka-dot turquoise paper I found at my craft store. Your first step is to create your backing. 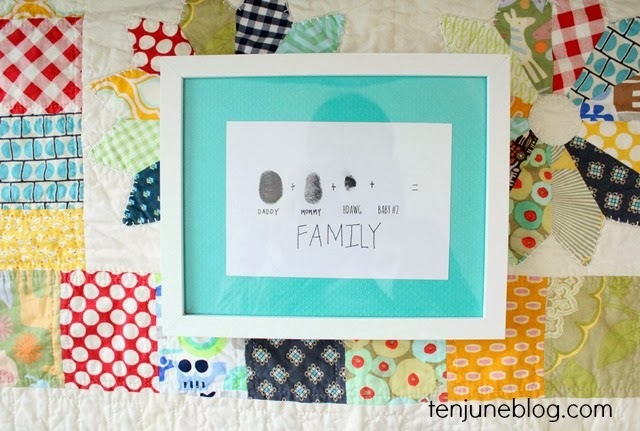 Simply cut your scrapbook paper or fabric to fit the inside of your picture frame. I chose a white frame from Ikea. 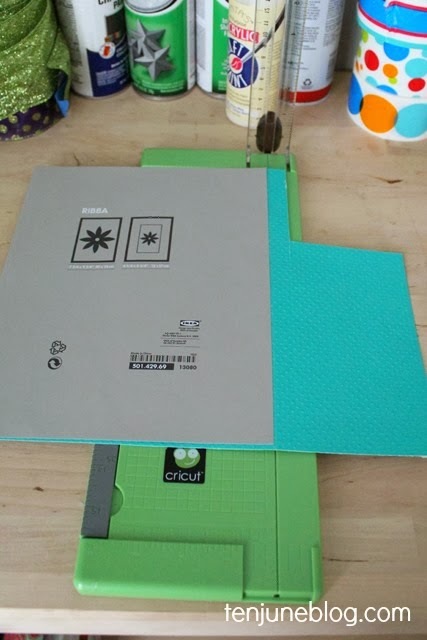 Now, cut your piece of white card stock to fit inside your new backing. My card stock was approximately a 4x6 size inside my approximately 5x7 backing. 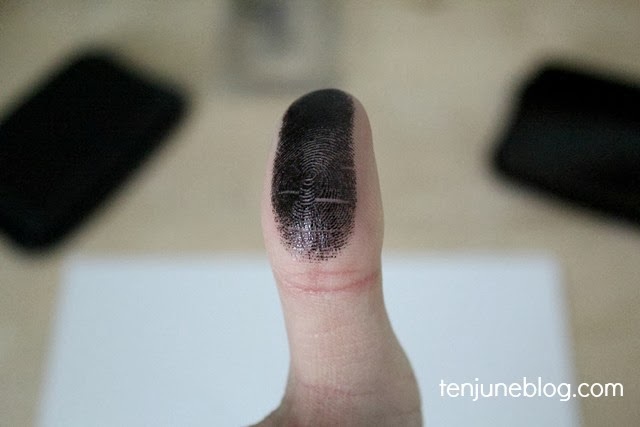 Now, ink up your thumb and start stamping. As you can see, I sort of rolled my thumb as I printed it, creating a potato-ish shape. It's imperfect, but I love it! Under each thumb print, I wrote the family member's name. I also added plus and equal signs and the word "family" to the bottom of the art. Once the ink dries, glue your card stock to your backing and add the piece to your frame. How sweet is this art?! I love how special and sentimental, yet fun, it is. And now that little miss is here, I need to add her thumb! I haven't decided if I'm going to hang this piece in the nursery or in a shared space like the kids' shared bathroom. 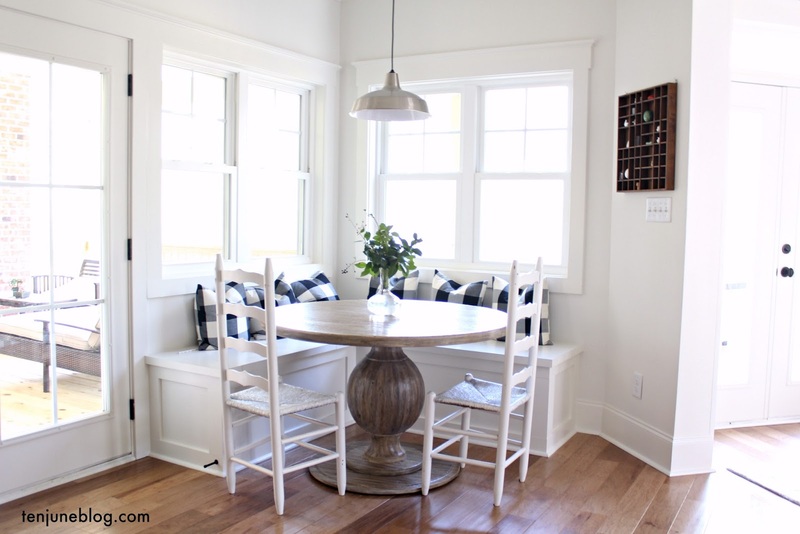 Either way, I'm loving this DIY art! So cute and easy to make. I love it! Cute idea! Congratulations on your baby girl! Such a sweet idea. That's adorable! Aghhhh! Dying. Want to make one ASAP.